Happy Beltane! What Else Would you Like Me to Offer? Today is a special day. It’s the pagan holiday, Beltane. One of the many things Beltane is, is a time to celebrate the goddess, or the feminine. 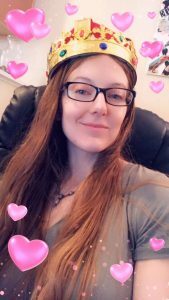 Last year, around March, when I was preparing to celebrate Beltane and doing some reading, I read some things that inspired me to try out something new that I had never considered trying before, being an adult entertainer. After much research and debate I decided to become a cam girl. My first night was May 11th. So now here I am almost 1 year later, feeling festive and nostalgic, reflecting. Funny that this year I’m actually just as excited to try something else new that will expand my means of expressing my inner goddess. I’ve decided to get into burlesque. Got my stage named picked out and everything! I wanted to do this last year as well but I’ve discovered there a many more avenues in my area for me to do so now. So yes, Happy Beltane! I hope those of you out there that celebrate are enjoying yourselves. It’s been a good one so far! Leave a comment on this post, or if you’d like to tell me privately what you would like me to offer, use the contact form to send me an email. Now here’s some thong goodness for ya. As of right now, this thong is still available for sale!